When spring is just around the corner, it's time to fertilise your houseplants. Here are a few tips! When spring is just around the corner, it's time to fertilise your plants! Many of your flowers are getting ready to bloom and need more nutrients. Therefore, it is a good idea to pamper your indoor plants with the nutrients they need for the most beautiful flowers. Here are a few tips! Fertilise your plants only if the soil or the substrate is moist. If the soil is dry, the nutrients or liquid do not distribute properly. This creates pockets of nutrients. The matted roots could become so rotten and moldy by waterlogging, which eventually leads to stunted growth. Azaleas are especially sensitive to stunted growth. 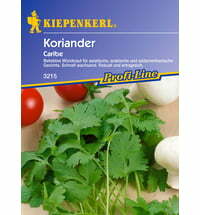 Too little fertiliser inhibits the growth of indoor plants. The same is true for too much fertiliser. For this reason, it is better use to less fertiliser more often (over two or three weeks), reducing the risk of over fertilising. Some plants hate wet leaves. This includes bulbs and African Violets. Such plants should always be watered from the roots by pouring water into their coasters. This also applies to fertilising the plant. Stand the plant in a mixture of fertilizer and not too cold water and wait until the soil is moist. This avoids the leaves getting waterlogged. Stick fertilisers are a good alternative to liquid fertiliser. They are easy to use and suitable for most ornamental, flowering and indoor plants. These fertilisers are usually mixed with microorganisms and natural nutrients. Depending on the pot size, the portion is measured, put into the soil and left in the pot for up to three months. Newly purchased plants are usually already fertilised so they do not need fertiliser in the first few weeks. Not all plants like fertiliser. There are species that do not need much or could react negatively to fertiliser like carnivorous plants like the Venus flytrap. These plants hardly absorb fertiliser from the soil, they get their nutrients from the insects they catch. Instead of fertilising these plants, you can feed them. Orchids do not like conventional fertilisers. You should always use a special orchid fertiliser. It is best to add low doses to a container with water and lower the plants carefully into it. This mimics how orchids would naturally absorb nutrients. There are also special fertilizer sticks for orchids that work well.